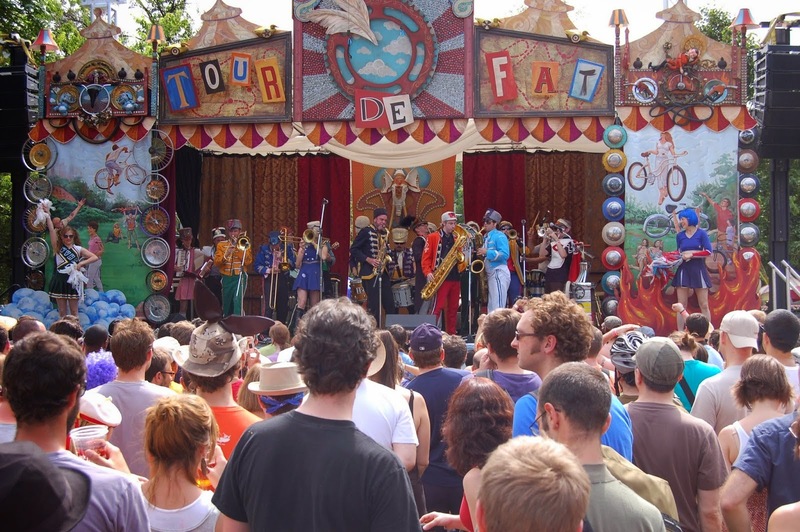 Dust off the costume, shine up the bike and get ready for another epic and bewildering day as New Belgium Brewing's annual Tour de Fat rolls into San Diego, arriving in Golden Hill Park on Saturday, September 26. The daylong event is free, with all donations and proceeds from beer and merchandise sales going to San Diego-area non-profits. 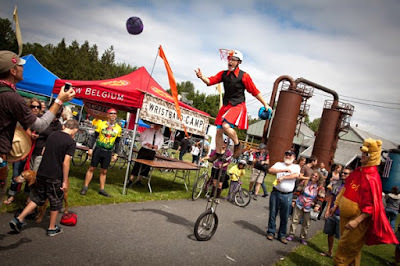 This event is a great way to celebrate the end of summer, complete with costumes, bikes, music, performers, contests and, of course, plenty of craft beer. Some of the eclectic entertainment includes Sister Sparrow & The Dirty Birds – who recently performed on The Today Show, as well as yo-yo performers and vaudeville acts, brewing education, a bicycle revival, rideable art bikes, a “Thousand Person Dance Contest” to win a New Belgium cruiser bike, and a fashion show. Everyone 21 and older can sample new and classic favorites from New Belgium, including the brewery’s flagship brew, Fat Tire, New Belgium’s latest year-round offering, Slow Ride Session IPA, and selections from the acclaimed Lips of Faith series. As for the fundraising, the entire 2014 season raised more than $625,000, with the San Diego stop bringing in $45,701. This year, all funds raised in San Diego will go to San Diego County Bicycle Coalition and San Diego Mountain Biking Association. 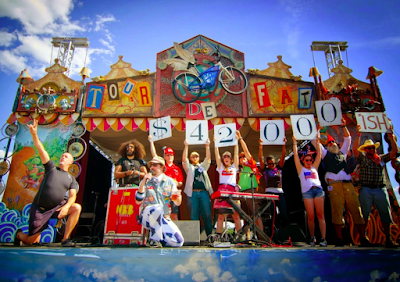 Every year, New Belgium gets one brave role model to step on stage to trade in his or her car keys for a bike, pledging to live car-free for one year. Each swapper is awarded a stipend to buy his or her own commuter bike. Car-for-Bike swappers are chosen after submitting an application describing why they are ready to give up their vehicle for the gift of two wheels. Tour de Fat San Diego admission is free, donations for the local non-profits are accepted and beer is $5 per cup. See Facebook.com/TourDeFat for the Tour de Fat credo, schedules, videos and to submit an entry to swap your vehicle for a fancy new bicycle. For more on the San Diego stop, click here.